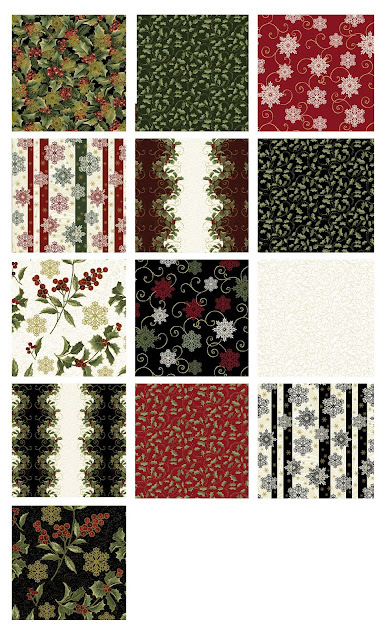 Jackie Robinson's A Festive Season 2: These classically elegant prints are enhanced with metallic gold, and the gorgeous split stripe features holly and berries with swirls. Click here to see quilt patterns made using A Festive Season 2. Cheryl Haynes' Winter Wonderland is packed with folk art-style snowman fun! 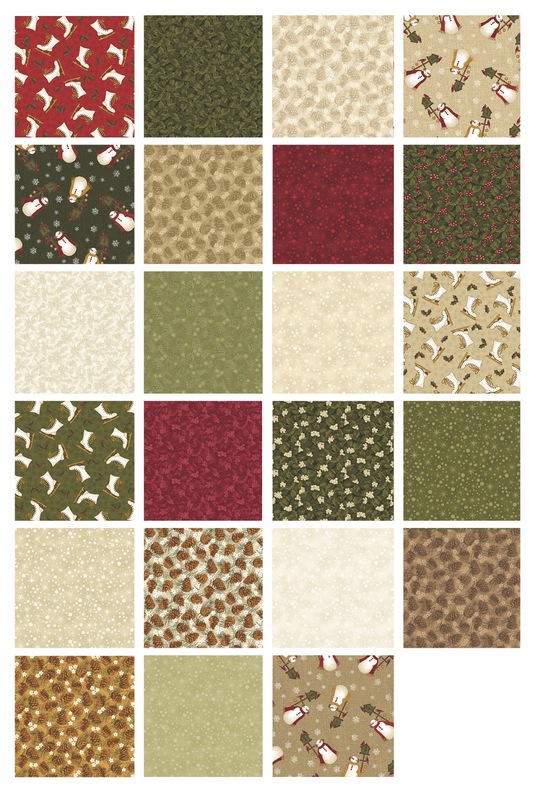 Start with the panel and add in coordinating prints in green, red, cream and beige. 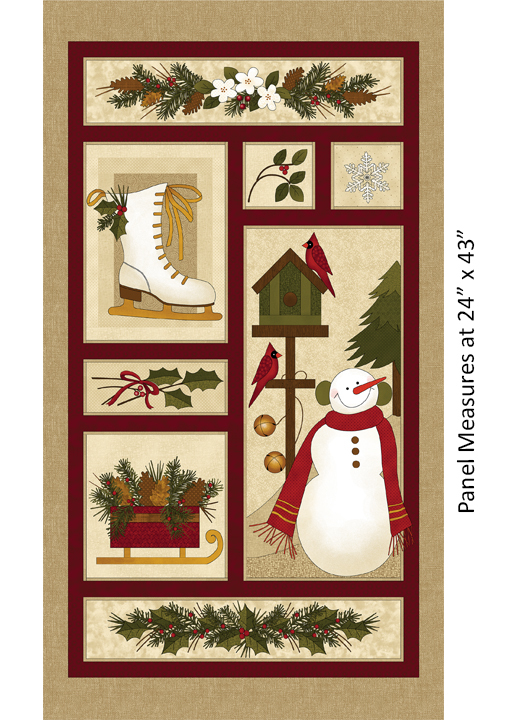 Click here to see quilt patterns made with Winter Wonderland.